A Really Beautiful Oval Amber Pendant with a Stunning 16 x 10mm Oval Cabochon set in a Lovely Contoured Silver Surround with a pretty Wavy Edge around it. It is 3cm long including its pretty bale by 1 1/4cm wide Chains also available. 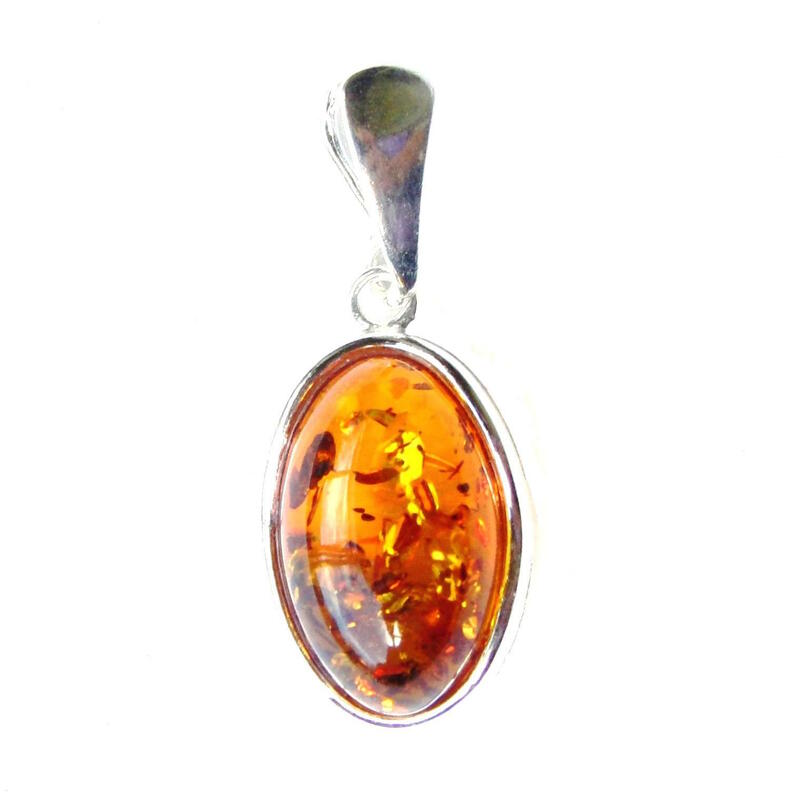 A Really Beautiful Oval Amber Pendant. This Beautiful Oval Amber Pendant has a Stunning 16 x 10mm Oval Cabochon set in a Lovely Contoured Silver Surround with a pretty Wavy Edge around it. It is 3cm long including its pretty bale by 1 1/4cm wide Chains also available. This website is strictly for approved Wholesale customers only, if you are looking to purchase this Beautiful Oval Amber Pendant from a retail store, please visit Shooting Star. A Really Pretty Amber Oval Pendant which has a Stunning 18 x 9mm Oval Cabochon set in a Lovely Contoured Silver Surround, with a Pretty Bale. It is 4 1/4cm long including its pretty bale by 11/4cm wide Chains also available. An Absolutely Stunning Amber Tree of Life Pendant. This Stunning Amber Tree of Life Pendants is a Sterling Silver Tree with 6 Lovely Amber Cabochons set in it. It is 3 1/2cm long including its bale by 2 1/4cm wide Chains, also available. An Absolutely Stunning Amber Medium Tree of Life Pendant. This Lovely Amber Medium Tree of Life Pendant has a beautiful piece of Amber set within a silver surround with a Beautiful Sterling Silver Tree of Life set on top of the amber and 8 dainty crystals set within the tree. It is 3 1/2cm long including its bale by almost 2 1/4cm wide Chains, also available. Stunning Dainty Green Amber Oval Pendant with Lovely Silver Surround which twists up and over to form the Bale. It is 2 1/2cm long including its bale by just under 1 1/4cm wide Chains also available. Stunning Amber Heart Cage Pendant. This Stunning Amber Heart Cage Pendant is a Beautifully Detailed Sterling Silver 3d Filigree Heart with an Amber Puff Heart Cabochon set within the Pretty Fixed Cage. It is 2 3/4cm long including its bale by 2 1/4cm wide Chains also available.